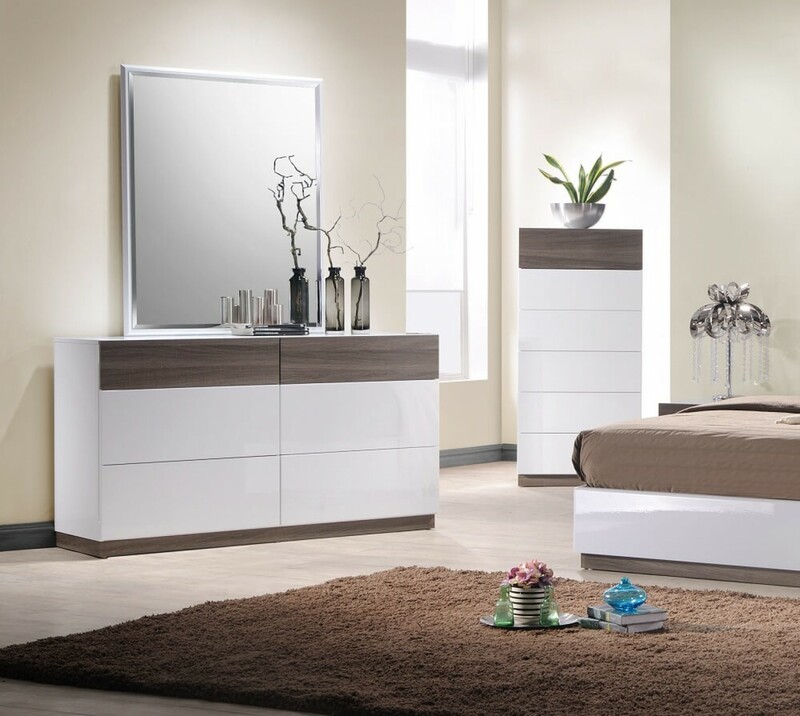 W21" x D17" x H19"
W35" x D19" x H43"
J&M is proud to present the Sanremo bedroom. Available in two different versions, this bed features a visually striking contrast between a Walnut veneer and a gorgeous white lacquer. The head board features LED's on the headboard that can be switched on or off to easily change the ambience of any bedroom. 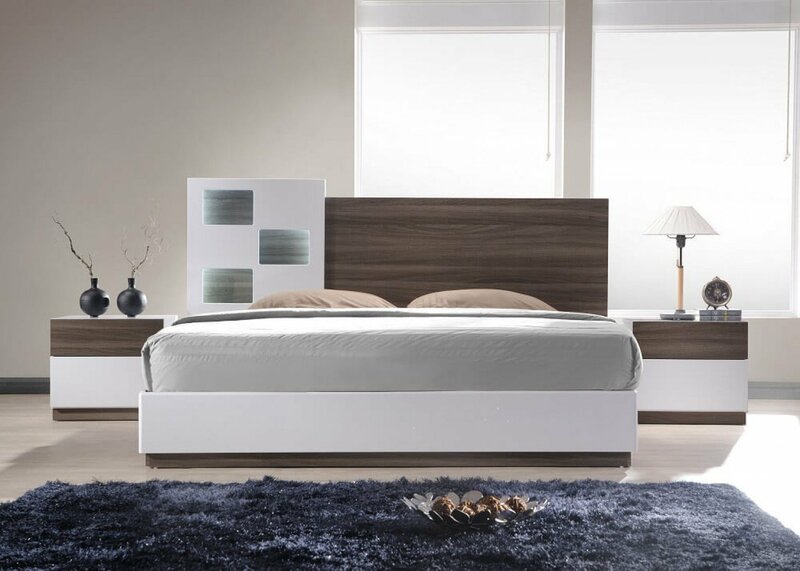 The casegoods gorgeously compliment the bed, and feature full extension drawers for durability. Available in both Queen and King sizes.